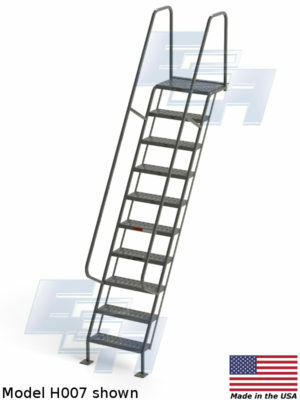 Industrial Stairways - All Welded Access | EGA Products, Inc.
Industrial stairways from EGA Products are made in the USA! This means that clients get the best quality industrial access stairs on the market, made by highly skilled and highly experienced metal tradesmen. 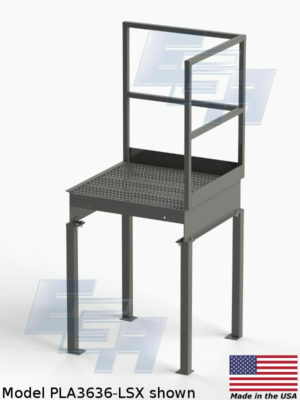 Industrial stairs and platforms made by EGA are designed and built with the craftsman’s eye. THE CRAFTSMAN’S EYE – At EGA Products, hiring the best welders, machinists, and skilled tradesmen have paid off. In a world dominated by importers, EGA has held its own because it doubled down on a strategy to offer completely American Made material handling goods. Why? It matters to EGA, and it matters even more to their customers. Customers of EGA know they’re buying handcrafted goods they can count on because at EGA having an eye for craftsmanship is why we’re still here today. THE INDUSTRY STANDARD IN STAIRCASES AND ROLLING LADDERS – Industrial access equipment serves a critical role as a workhorse of a well-oiled warehouse machine. They get the crew to where the work is. While a simple premise – safety, and stability are not always a given. That’s why choosing a high-quality American made industrial staircase pays off every time. Long lasting durability is the American made way. 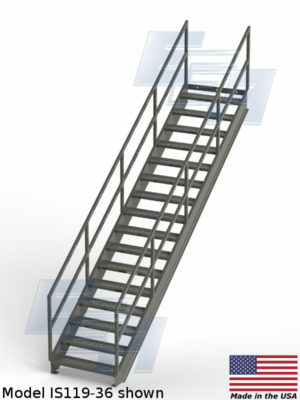 Catwalk stairs, often built to suit, are designed with space and access in mind – built to code and regulation.